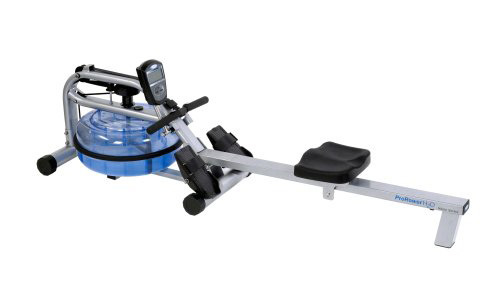 At the gym I enjoy using a high-quality rower, so when I found out that the ProRower H20 RX-750 is a commercial-grade rowing machine designed for home use, I was intrigued. When I need to work out at home, I want a solid, high-performance piece of equipment and the H20 RX-750 seemed to be a good candidate for a review. I love that it gives you the feeling of actually being on the water. I haven’t rowed on the water for years, but I remember the feeling and the happy memories. 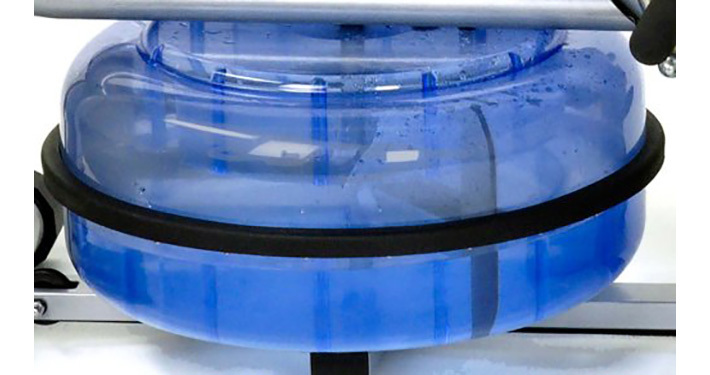 The ProRower H20 RX-750 uses paddles in an attached water tank to provide the resistance. In my view, this creates an important added benefit because it also sounds like you’re rowing on the water. 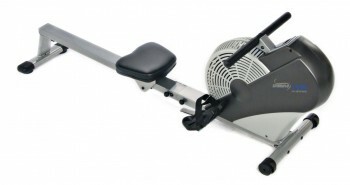 Let’s see what other features this rower offers. The resistance level on the ProRower H20 RX-750 adjusts simply: the more water in the tank, the more resistance you’ll have. 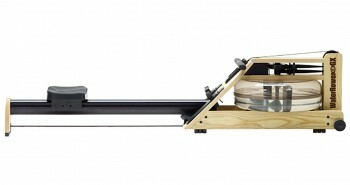 The harder you row, the more intense the workout. 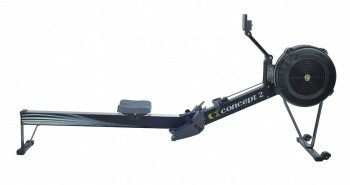 This feature is perfect for rowers who want to concentrate on rowing and don’t want to be bothered with changing mechanical settings during a workout. I find water’s natural resistance preferable to mechanical systems. 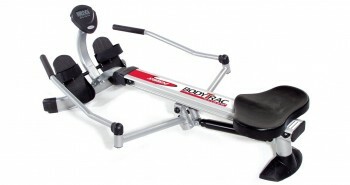 And the mesmerizing sloshing sound of the paddles hitting the water will probably help you stay on the machine longer, which gives you a better workout without even noticing. You probably don’t want your exercise equipment on display in the living room when you’re not using it. I know I don’t. I’d much rather put it away, but storage space in my apartment it limited. 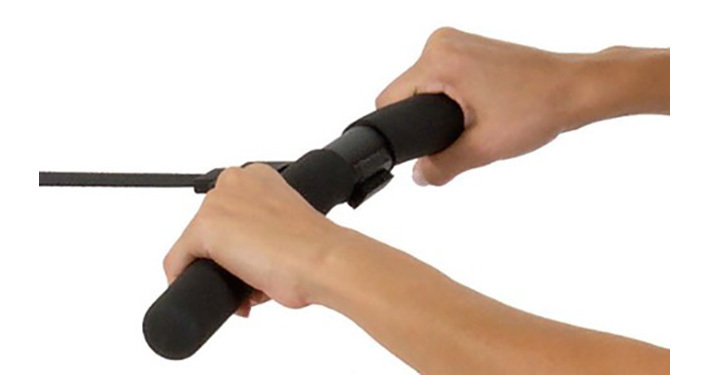 Impressively, despite its 65-pound weight, it can fold into a compact 20 by 21 inches. I could store it upright in my closet and leave the rest of my apartment looking uncluttered, just the way I like it. Built-in wheels make its 65 pounds easy to move. I mentioned earlier that the ProRower is commercial grade. It was built with strong materials to ensure that it will survive the test of time. 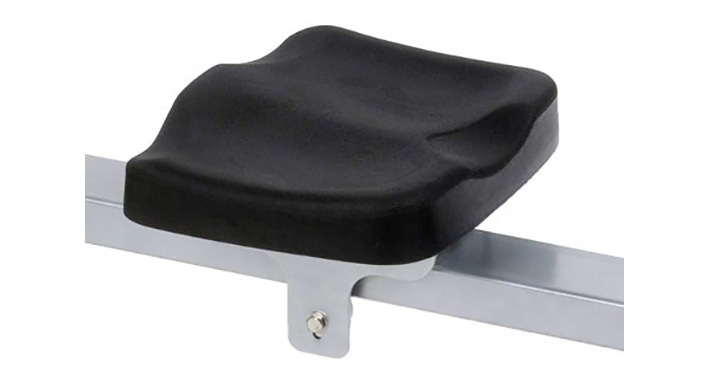 It has a durable frame that won’t lift off the floor during a workout and is backed by a lifetime warranty from the manufacturer. I found out this is uncommon for rowers. This gives me the impression that H20 Fitness is confident in the durability of its product. You also can expect long life from the water tank, which is made with polycarbonate and therefore virtually indestructible. 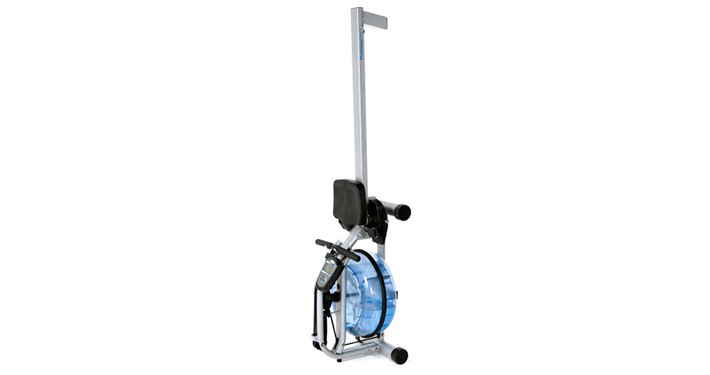 The ProRower H2O RX-750 can accommodate users who weigh up to 350 pounds. 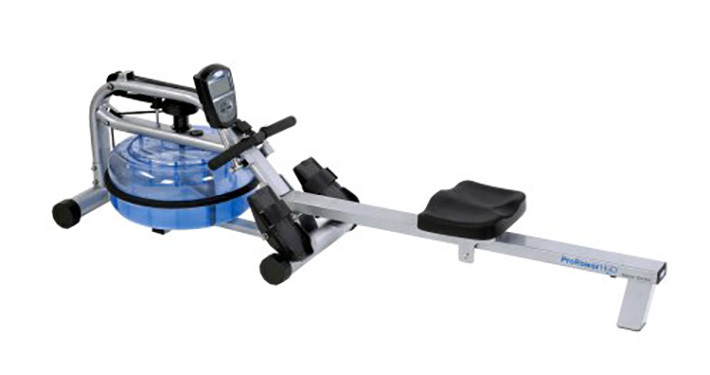 This generous capacity is uncommon among rowers at this machine’s price point. 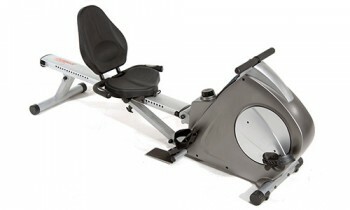 The average rowing machine typically tops out at a weight capacity of about 250 pounds. 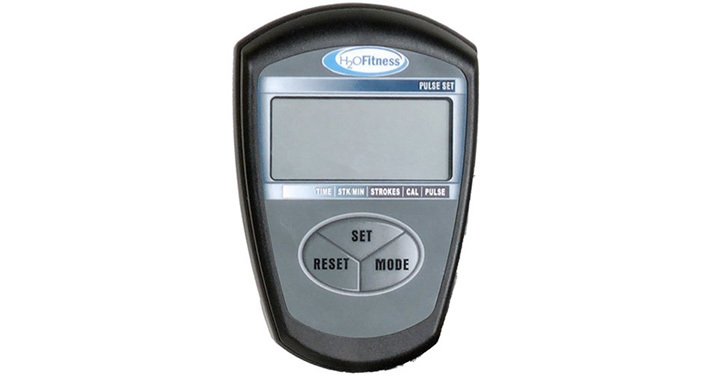 Home exercisers who buy products from H20 Fitness say the company provides outstanding customer service. As you’d expect with regular use, most products will require repair or replacement of parts. Many ProRower RX-750 users said they were impressed with the level of customer service they received before and after their warranties expired. Some said the company sent no-cost parts, no questions asked, even after they were no longer covered by warranty. Knowing a company has excellent customer service is definitely an added incentive for me to buy. The bungee cord on this ProRower is known to break after a few years of regular use. In the event that your bungee cord breaks while the machine is still covered by warranty, the company will replace it at no cost. In some cases, users have said, they received new bungees even after their warranty had expired. 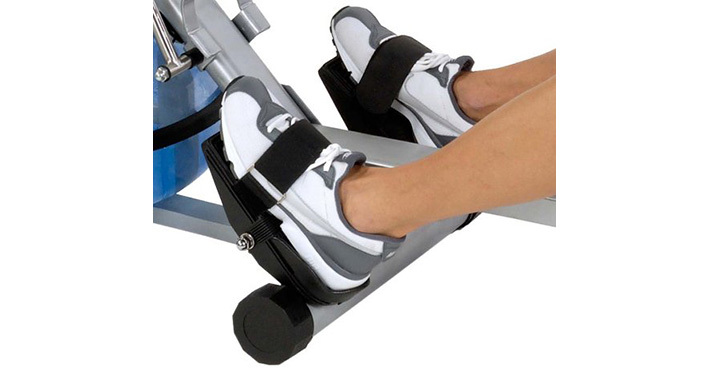 You can easily fold the rower up and store it away when you are done with your workout. This is a solid, well-built machine from a reputable company that offers great customer service. For all these reasons, the ProRower H20 RX-750 definitely has made it onto my shortlist.